What is a Christian Birth? All birth experiences are unique, no two are alike, although some mothers of subsequent babies recognize similarities between births of their children. A Christian Birth is a birth experience which is completely unique and related to the Mother’s Faith walk. It is an intentionally acknowledgement of the God-given blessing, and value of human life and of the familiy. Recognition of the spiritual nature of conception, pregnancy and birth, and it’s significance. Completely in trust and alignment with God and His will, trusting His design of the woman’s body to give birth. Relying on God’s strength and comfort, whatever the circumstances. Through the heart of her experiences and training, Willow strives to surround the mother and family with Godly love, fellowship, support, and encouragement, a gentle presence to remind them of the hope and purpose God has in their lives as they journey into parenthood for their first or 8th time. 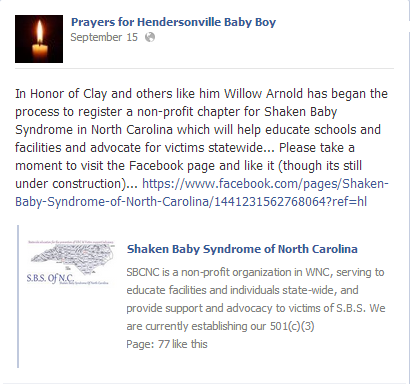 Contact me: 828-676-9072 to arrange a meet & greet interview, and discover if Willow Christian Birth Services are right for you…. Birthing Room Sign…. Your birth, your way…. Amber is as old as time itself, an ancient remedy that is still boasted and bragged upon by modern alternative medicine practitioners today. It is known as a natural remedy for a variety of things including joint pain, arthritis, teething pain, and more…. It’s a natural analgesic alternative. Hippocrates (460-377 BC), father of medicine, in his works described medicinal properties and methods of application of Baltic amber that were later used by scientists until the Middle Ages. In ancient Rome Baltic amber was used as medicine and as a protection against different diseases. Calistratus famous physician of those times, wrote that amber protects from madness, powder of amber mixed with honey cures throat, ear and eye diseases and taken with water cures stomach illnesses. Pliny the Younger noted that Roman peasant women wore amber medallions not only as adornments, but also as a remedy for “swollen glands and sore throat and palate.” Persian scientist Ibn Sina (Avicenna) called amber remedy for many diseases. There was a belief in eastern countries that amber smoke strengthens human spirit and gives courage. In Asian countries “amber syrup”, a mixture of succinic acid and opium, was used as a tranquilizer and antispasmodic. It’s use continued by physicians through the Middle Ages and later into the present day 21st Century for various conditions. As late as before World War II, especially in Germany,Baltic amber beads were put on babies to make the eruption of teeth less painful and make the teeth grow stronger. Baltic Amber contains succinic acid. A powerful anti oxidant that helps fight toxic free radicals and disruptions of the cardiac rhythm, succinic acid has been shown to stimulate neural system recovery and bolster the immune system, and help compensate for energy drain in the body and brain, boosting awareness, concentration and reflexes, and reducing stress. 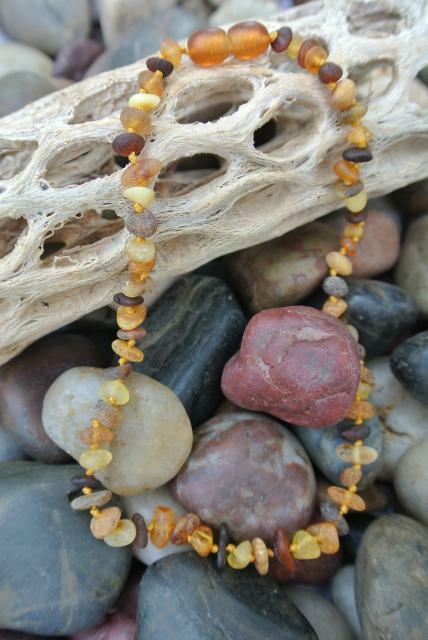 Baltic amber contains 3-8% of succinic acid, a scientifically examined medical substance used in contemporary medicine. The highest content of the acid is found in the amber cortex–the external layer of the stone. There is much documentation regarding the power of succinic acid. Albert The Great, born in 1193 who later became a Dominican monk, called Natural Baltic Amber “Succinium” and stated that it was the most effective medicine of the time followed by other substances such as ocastoreum, mors, camphor, tartarus, and aurum. People of that time also made amber tinctures from beer, wine and water and declared them effective against everything from stomach aches to rheumatism. Recent scientific research has also proved that succinic acid has a very positive influence on the human organism. It strengthens the body, improves immunity, the course of energy-related processes and the balance of acids. Succinic acid was analyzed by the pioneer of modern bacteriology, the Nobel Prize winner, Robert Kock (1886), who confirmed its positive influence and discovered that there is no risk of the accumulation of surplus amounts of succinic acid in the human organism, even after the introduction of considerable amounts into the body. The benefits of Amber are great, and the countless recorded praises for its use in teething pain and joint paint speak for its usefulness. It’s natural, has no known side effects, and worked better for my kids than the homeopathic tablets, and other various options I tried. It works quickly and lasts as long as the baby continues to be exposed to the amber. I used both the necklaces and the anklets depending on the situation, and both worked great. Before using Baltic Amber my babies wouldn’t sleep through the night without Tylenol because of the pain caused by teething. They would fuss and cry often. When they were wearing their Amber necklace or anklet, I was amazed how much happier they were all the time and sleeping through the night so comfortably. Yay for tired mommy! I highly recommend trying Baltic Amber jewelry for your baby. I plan to order some to give out to future birth clients.